After 19 years, it's over. Meredith is folding More. The April 2016 issue will be its last. “Despite a significant investment in More in 2015—including an increased trim size and higher quality paper stock that aligned it with its upscale and affluent audience—More continued to face advertising challenges in the luxury marketplace,” added the Meredith spokesperson. 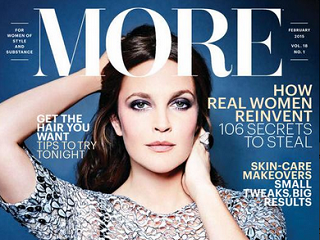 More was first published in 1997 and is a four-time National Magazine Award finalist. In 2006, Ad Age named it Magazine of The Year. Leslie Jane Seymour has served as editor in chief since 2008. Though Meredith will try to find new roles for Seymour and about 30 More staffers, they will likely be out of jobs. “We are trying where possible to find other opportunities for some of the staffers within Meredith where their skills sets might align with a vacant position,” explained the spokesperson.